Nearly 80% Of Electric Cars (Minus Tesla) Are Leased, Not Bought, In U.S. It's the lease you can do. If you drive an electric vehicle, there's a good chance you leased it. An 80 percent chance, to be exact-ish. Drive a plug-in hybrid? There's a 50 percent chance you've gone the leasing route. 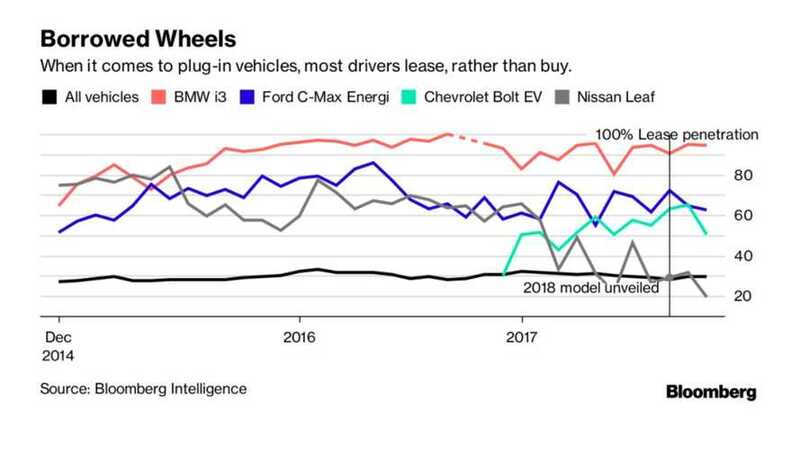 So says Bloomberg New Energy Finance, who admit the figure doesn't include Tesla drivers (the California automaker hasn't released lease-versus-buy figures). That's substantially higher than the 30 percent lease rate of shoppers nationally. According to the publication, there are several reasons for this phenomena, including the assertion that the higher lease rate is, "fueled by the meager demand for battery-powered vehicles on the used market." They say this is because, "...buyers of pre-owned cars can’t grab thousands of dollars in federal and state incentives." This strikes us as a slightly incorrect assumption. Buyers of new electric vehicle buyers in the U.S. have been able to take advantage of a $7,500 federal tax credit, as well as state and local rebates and incentives. When they sell their cars, they (and buyers) take that into account. 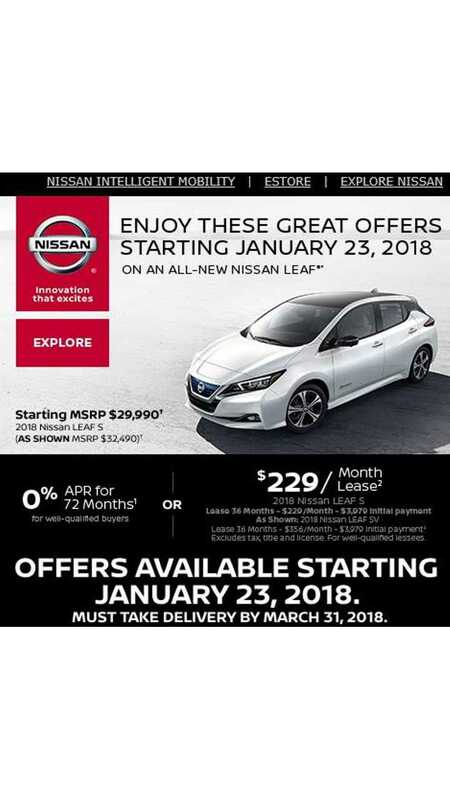 So, when a vehicle that had a (hypothetical) $38,000 MRSP, but might have been purchased for only $28,000 after incentives comes on the market, the price tends to reflect the actual buying price rather than the original dealer sticker. Certainly, though, some plug-in vehicles suffer more depreciation than traditional gas-powered ones. Perhaps closer to the mark is their other reason: EV buyers recognize battery and other electric vehicle technology is advancing quickly, and they don't want to be wed long term to a particular product because they expect new vehicles will have dramatic improvements, usually increased range. This strikes us as very true, at least outside of the Tesla brand, where there certainly are improvements, but since most of its vehicle configurations offer more than 200 miles of range, and sometimes over 300, many other calculations come into play. And speaking of Tesla, while the company doesn't publicize data about its leasing uptake, an informal poll we took on a Tesla owner Facebook page indicates it's quite low. Out of 132 respondents, 114, or 86 percent, bought their vehicles rather than leased, underlining that within the electric vehicle segment, there can be a lot of variation. Finally, one thing not mentioned in the Bloomberg report is the attractiveness of many EV leases in so-called CARB states. Some vehicles —often termed compliance cars because manufacturers make them to be in compliance with guidelines set out by the California Air Resources Board, and are typically only available in the California and a handful of other states — are subsidized by their makers because they reduce the need to buy credits. Perhaps this situation is best represented by the Fiat 500e, a fun little car to drive, which has seen lease offers as low as $69 a month for three years with no money down. Faced with that sort of deal, it's little wonder the lease take is relatively high.